This is a healthy and delicious, traditional Afghan fruit and nut salad. attended our coffee morning for the first time today. Nawgis explained, that the fruit and nuts are hand peeled and left to soak in natural juices. This dish is usually prepared for 'Norwuz' the Afghan New Year. Kelly's is to treat everyday as a New Day and not to take troubles and worries into the next day. Mine is to use Time wisely and to Value Family Time Together. we would really like for you to come along and share any changes that you might be making in 2019. We were so very lucky this year to receive the kind donation of 10 food Hampers. Names were drawn at random and 10 lucky families received a £10 Tesco voucher. Here are two families who were delighted to receive their Hamper. A huge Thank You to you all, for supporting the Festive Food Market . families of Gascoigne Primary school and the wider community. Santa has arrived early with this Beautiful Festive Hamper. It is only 50p for a strip of Raffle tickets. Attached to the raffle ticket,you will see a Pupil Premium Form. teacher, or bring it along to the Festive Food Market. Where the Raffle will be drawn. Hafsa was a little late for Coffee Morning, but we didn't mind as look at what this creative lady made us to share. Today during our Coffee Morning, we tried Leaf craft. The idea came from one of our many talented parents. Thank you Ms D Vaitkus, Villius and Kotryna's mummy in Green class, for the amazing idea and what a talent you have. The coffee morning parents had a great time trying to make the beautiful flowers. Look at our Harvest Festival Table . Thank you for all your generous donations. As we all know, there are people less fortunate who need our help. Between Monday 8th October and Friday 12th October, Gascoigne Primary School collects tinned meat, tinned vegetables, tinned fruit, instant mash, pasta, noodles, cereals, etc which will be donated to people in need. To make the donation process as smoothly as possible there will be collecting boxes at the gates on both Gascoigne and Shaftesburys sites. Please drop your donations when you bring your children to school or when you collect them and help make a difference for people who need our help the most. Additionally, your generosity will be an example for your children and it will teach them to be kind and sensible to other people needs. We want to thank you for your goodwill and support! 2018 such a successful event. We raised £350.94!!!! which was amazing. This would not have been possible without the children, parents /carers and staff working together. Free* ESOL classes for adults. Bring your passport or ID with you, please. For more information please contact Kelly or Marie Family Liaison Practitioners. The Family Liaison team would like to wish you all a warm welcome back to school. The new term can be both exciting and challenging and we would like to do all we can to make the new term as enjoyable for you all as possible. As some of you may already be aware two of the existing members of the Family Liaison team Anne Bragg and Marie Simpson have moved on to pastures new. However we are fortunate to have had Marie Attard take on the role of Family Liaison Practitioner. 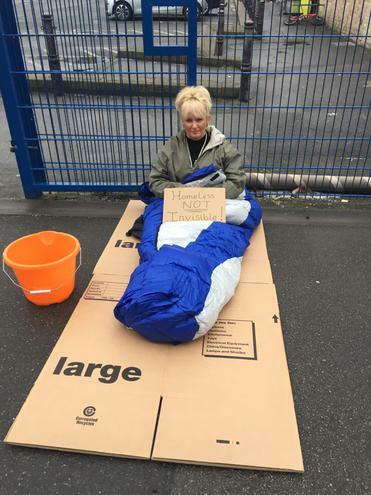 Marie has worked at Gascoigne school for over 20 years so many of you may know her already. Please come along and speak to either myself or Marie with any concerns you may have and ideas you would like to share so we can continue to make Gascoigne School an incredible place for everyone to be. 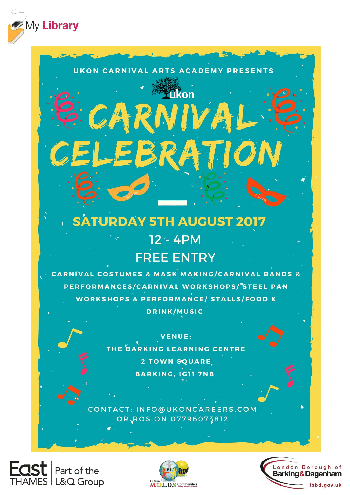 Barking Carnival - Fun for all the family!!!!! Following the very tragic loss of young lives within the local community recently, we would like to come together to discuss what we can actively do to work towards making the Gascoigne/Shaftesburys Estate a safe place for all and one to be proud of. We are holding an open meeting, for parents, staff, community leaders and groups to share ideas and help initiate positive change which will lead to successful outcomes for the young people who live here. I would appreciate it if you would pass this information onto anyone else who you feel would like to attend/be involved. This is a parenting course that runs for 13 weeks. Each session targets parents of children between 3-18 years old from all cultural backgrounds. Parents and carers will be provided with an environment that is relaxed. They will enhance the effectiveness of the positive parenting skills they are already using. Parents will have an opportunity to share experiences around parenting to promote positive behaviour. If you would like to find out more information about this course we are having a taster session on Tuesday 20th March at 9:15 am in the Gascoigne School on the Shaftesbury's Site, please complete the slip on the letter that has been sent home with your child and return to school as soon as possible. Gascoigne’s PTA are organising an Easter bake sale to raise funds for new resources and equipment for the children of Gascoigne Primary school. In the Shaftesburys Dining Hall. Any donations of cakes, cupcakes, biscuits or doughnuts would be greatly appreciated and welcomed (All homemade cakes will need to be labelled with the ingredients). If you wish to donate please give to your child’s class teacher by the morning of the event. Speaker from Participatory City to support planning and designing our Secret Garden. Please come along and share your ideas and be part of this exciting project. Over half term the first phase of our Secret Garden will take place. This will involve the repositioning of the planters and placing bark chippings on the floor, in preparation for the children to be planting flowers and vegetables in the spring. Our parent toddler and baby weekly session are proving very popular. Each week during the session we have dancing, singing, informal conversation and refreshments. The children have enjoyed their interactive time with "Molly" the pet therapy dog, who has been visiting the school every week. It has been a pleasure watching some of the children who were initially wary of Molly, gain the confidence to stroke her, brush her fur and feed her treats. During the sessions with Molly the children have been able to express their feelings. L said "I look forward to seeing Molly every week, she makes me feel really happy"
R said "Molly makes me feel happy, she makes me think of my Grandad who was kind like Molly and who has passed now"
A big thank you to Molly's human companion Ian Rider for giving the children at Gascoigne school this wonderful opportunity. Want to have a go at making healthy, freezable baby snacks? All for free! Gascoigne Primary School is very pleased to have the opportunity to be working alongside Participatory City on some very exciting projects including our very own "Secret Garden". Participatory City kindly donated the green house that will be a feature in our garden. Over the next 5 years Participatory City will work with local residents and organisations to create a high level of new activity. Every One Every Day will work with 25,000+ people to grow a new network of 250 projects and 100 businesses. Every One Every Day will combine the benefits of peer-to-peer co-production projects, with businesses and services - working together to improve the overall wellbeing of the neighbourhood, leaving no one behind. Every One Every Day builds on the 'hands on' projects that people have been creating over the last few years in their own neighbourhoods. So watch out for upcoming projects to participate in and through your support we will continue to make Gascoigne School the amazing place it is. Gascoigne School are delighted to introduce two new members to our team "Molly" the therapy dog and Ian Rider Molly's owner. Molly is a four and half year old Labra doodle who has been specially trained to work as a Pets as Therapy (PAT) dog. This means Molly has undertaken training to ensure she has a calm and stable temperament and has proved that she is friendly and confident in all situations. Molly is comfortable being petted and handled sometimes clumsily. PAT dogs are trained to provide comfort and affection in retirement homes, nursing homes, hospices and schools. Therapy dogs can help young people cope with emotions, disorders and developing relationships. Therapy dogs provide an inexpensive way to assist children in focussing on their education. They provide a comforting presence that research has shown is a benefit to children, they are very useful at encouraging children to talk and by giving the children the opportunity to read to them their reading skills improve. Most adults are apprehensive when speaking in public. It is very daunting. Children are no different when reading to others in a group. However when a PAT dog enters the group they often become less self-conscious and do not feel they are being judged. Before long the children are starting to look forward to the reading experience. The dog is a calming influence on the children, provides comfort and promotes positive behaviour, enhances self-esteem, motivates speech and inspires the children throughout the session. We look forward to welcoming Molly and Ian to Gascoigne School in the New Year! The Christmas Bazaar this year was another huge success, many families attended and joined in with the festive fun. The food stalls were very popular with lots of parents and children enjoying the home baked cakes, made by members of the P.T.A. Many children also enjoyed visiting Santa in his grotto! and playing the games made by the P.T.A. Through organising the Christmas Bazaar the P.T.A raised a fabulous £472:71 which will go back into the School to help fund different projects. The Family Liaison Team and the P.T.A would like to thank everyone for their continued support in making these community events such a success. Meet new friends and walk away the winter blues . For more information contact Anne or Kelly. The family liaison team are continuously looking at ways in which we can help support our parents and carers, to do the hardest job in the world raising children! So we are delighted when we have a guest speaker at our coffee mornings. Today 15/11/17 P C Scott Mahoney came to talk to parents about issues concerning them and how to stay safe. On the 22nd November 2017 we have Peter Morgan from the healthy lifestyles team, who will be able to give parents advice on nutrition. If you have a topic that you would like to learn more about please contact Anne or Kelly and we will try our best to organise a guest speaker. Would you like to make friends? Would you like to make a suggestion for a themed coffee morning? Have you a talent or hobby that you would like to share with others? Or even a favourite recipe? If you have answered yes to any of the questions above please come along to one of our coffee mornings where there will be a warm welcome along with a hot drink, cakes and biscuits . Here at Gascoigne primary school we have been celebrating Harvest Festival by collecting dried food cereals and tinned food to donate to the Barking food bank. This has been greatly supported by our families. We would like to take this opportunity to thank everyone who has donated for their generosity. Together we raised £74.53 for this fantastic charity. May we take this opportunity to thank everyone who came to the coffee morning and for the PTA (F.R.OG.S) for organising . Do you know about your School Nurse drop in service ? Check with your school reception area for dates/times of drop in sessions. Contact any member of the Family Liaison Practitioner (FLP) Team by completing this form. The PTA would like to invite you to the Gascoigne Primary School MACMILLAN CANCER Support coffee morning. Every coffee/tea and cake sold helps give someone facing cancer the support they need to feel more in control of their life from the moment they are diagnosed through treatment and afterwards. Donations can be handed in to both sites at reception or you can simply bring your donation along on the day. To help raise even more money please donate a home-made or shop bought cake that we can sell on the day. Please come along and support this worthy cause. It will be a great opportunity to meet other parents. ESOL Classes are due to start on the 4th of October 2017 at the Gascoigne School on the Shaftesburys Site. This year we have decided to support our local food bank in Barking by collecting tinned and dried food. We are asking all our families rally round to give items such as breakfast cereals, pasta sauces, rice, sponge pudding , UHT milk, fruit juice , pasta and tinned meat,vegtables and tomatoes. All donations can be brought to either site when dropping your children to school. There will be a table on each site where food items can be placed. May we take this opportunity to thank you in advance for your generosity and support for this worthy cause. Do you want to make health changes to your lifestyle? Is it time to make changes to your families' diet? Would you like to learn about nutrition in a fun, interactive and engaging way? The Family Liaison Team would like to say a warm welcome back to all of our Parents/Carers Children and Staff at Gascoigne Primary School. We have lots of new and exciting events planned for this term. Our Parents and Teachers Association otherwise known as the F.R.O.G.S have now been established for a year and meet every other Monday at 1.20pm on the Shaftesburys Site. They are always looking for new members to join this innovative team and bring new ideas to help raise money to support all children in our learning environment. The 12 week change4life programme will be coming to an end next Wednesday 26/07/2017. The feedback from parents who have participated in the course with their children has been really positive. The aim of the programme was to help families make healthy changes to their diet by learning about nutrition in a fun, interactive way engaging with all the family. In week 9 the children and their parents learned how to prepare and cook a healthy meal. These are some of the comments from the children and their parents. "I did not know healthy food could be so yummy"
"Cooking with mum is fun, I like choosing healthy food for my dinner"
"I have really found this course helpful, it has taught me how to get my daughter to eat healthy food, she is now choosing to eat healthy snacks rather than just eating chocolate or crisps. The next change4life programme will be in September 2017. Please contact either Anne Bragg or Kelly McKinnon for more information. The children, their families and lots of members of staff enjoyed a fun filled day of entertainment on Saturday at our 2nd annual summer fete. This year proved to be an even bigger and better event than last year. There were many highlights of the day but I think most of the children would agree that their favourite part was watching the ice bucket challenge. This year's event was organised by our fabulous P.T.A the F.R.O.G.S Family Representatives of Gascoigne School who are already busy planning next years event. The event raised a fantastic £1555.00 that will go towards creating a secret garden for all the children to enjoy. A massive thank you to all those who came along and participated in the fun. If you would like to be involved in helping to organise next years event and supporting the children of Gascoigne School, please contact either Kelly or Anne via the school office. There will be some tables in the playground by the gates in the year 3 and 4 playground with unclaimed uniform. This will be an opportunity for parents to look for items their children may have lost or be able to take items their children may need. Our children continue to lose items of clothing so please wherever possible try and mark their clothing with an indelible pen. Thanks as always for your support . 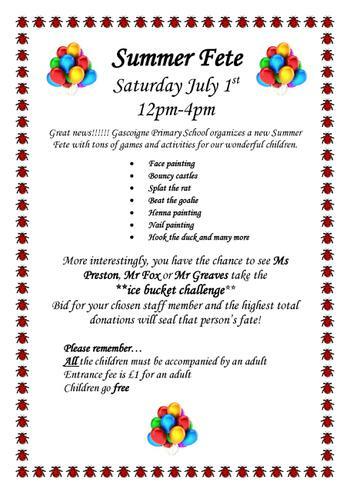 Gascoigne PTA (FROGS) are pleased to announce that we are now in the process of organizing our annual school fete. Following feedback from last years fete, this year we are now in a position to offer the hire of tables to parents. This will be at a cost of £20 per table and on a 1st come basis. SO HURRY AS SPACES WILL BE QUICKLY SNAPPED UP! On the 26th of April 11 parents received certificates after graduating on the strengthening families strengthening communities programme. This is a parenting programme delivered over 12 weeks which is sponsored by the Race Equality Foundation . There are plans for a new course to be run in September. New date to be advised in due course. On Wednesday the 5th of April Gascoigne's PTA (FROGS) held a cake sale to raise money for the school. It was a huge success with many parents donating cakes and others coming along to buy them. The amount raised was £200.66. MAY WE TAKE THIS OPPORTUNITY TO SAY A MASSIVE THANK YOU TO ALL THOSE WHO PARTICIAPTED IN THE EVENT. Nazeema Rafeek – “I have gained so much confidence in speaking English from this class. I would like to start an ESOL class to improve my speaking, reading and writing skills especially now that my son will be starting secondary school in September. As I have six children and I am a housewife, I need English skills to manage my household. I make sure that my children are getting a good education and it’s important to me that I can support them with their homework and attend parents meetings. I feel upset when I can’t help my children with their homework this course has helped me improved my confidence in helping my children more. Another amazing week at Creative English!! This week we looked at how to look for housing, we did some role play in speaking to landlords or estate agents and what we would like in our future dream houses!!! Creative English is held every Monday and Thursday from 1:15 to 3:00pm held in the Shaftesburys Dining Hall. Come along and Enjoy some fun and laughter whilst building your confidence in speaking English. Look out for the next Healthy Eating Cooking Club and learn how to prepare healthy meals on a budget, make sugar snack swaps and healthy packed lunches for your children!! Please visit the Mobile Green Grocer located at the front of the Shaftesburys Site every wednesday morning and at the rear of the Gascoigne site every Wednesday afternoon!! Gascoigne Primary School is delighted to announce that we have teamed up with change4life (as seen on TV) and as a result of this we are running a 12 week after school club for children and their parents. The change4life program provides an opportunity for children and their parents to learn about nutrition and exercise through participating in fun and enjoyable activities, aimed at promoting a healthier lifestyle in and out of school. The club will begin after the Easter Holiday and will start on Wednesday 3rd May from 3:30 - 5:30 p.m. at the Shaftesburys site. If you would like to register your interest please speak to a member of the Family Liaison Team. Gascoigne's PTA (F.R.O.G.S) are organising an Easter bake sale to raise funds for new resources and equipment for the children of Gascoigne Primary School. Any donations of cakes, cupcakes, biscuits or doughnuts would be really appreciated and welcomed (All homemade cakes will need to be labelled with the ingredients). If you wish to donate please give any cakes to your child's class teacher by the morning of the event. Following our recent charity event "A night under the star's", we are delighted to report that the event was a massive success. 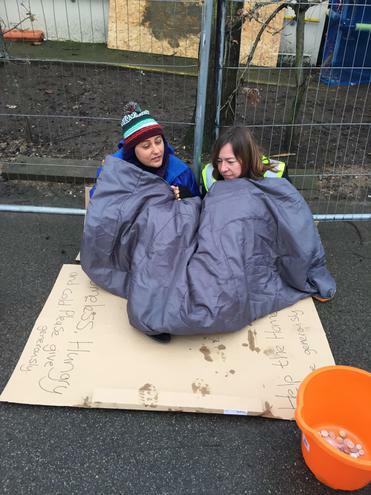 The staff who camped at the gate in their sleeping bags every morning were a big hit with the children; as were the assemblies and classroom debates. This helped with the children's learning and made the event a real talking point in our school community. 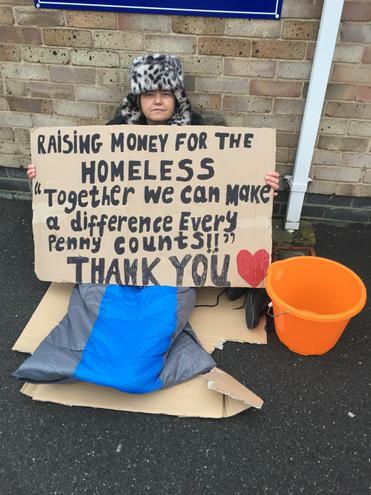 We are proud to announce that we raised a massive £3488.67 in aid of Hope for Barking and Dagenham homeless charity and the children are now able to identify with the plight of the homeless. Gascoigne Primary School would like to take this opportunity to thank you all for your generosity; the event would not have been successful without your support. Myself Kelly, Anne and David McFarlane a targeted support worker for the borough are currently mid way through delivering our third Strengthening Families Strengthening Communities Programme. Strengthening Families Strengthening Communities is a 12 week inclusive parenting programme. This culturally sensitive programme is structured with an introductory session and 12 weekly three hour sessions, and presents information within a cultural framework to address the needs of a variety of different ethnic and cultural groups. This programme addresses violence against the self(drugs, alcohol), and violence against others (child abuse, domestic violence, crime, gangs) through five curriculum component areas; Cultural/Spiritual Rites of Passage, Enhancing Relationships, Positive Discipline and Community Involvement. All developing strong ethnic, cultural, family and spiritual roots, a positive parent-child relationship, and life skills necessary for functioning in today's society.
" This course has changed my perspective, I am now more focused and better equipped to deal with different situations. Anne & Kelly have helped me to think more about what is right, and what I am doing, so thank you guys, it was a wonderful time we spend together." "I have learned a lot from this course and achieved lot's of things. Anne and Kelly were the best and still are the best! we shared lots of things and respected each other and made lots of friends and worked as a team." "The course has helped me to have a strong bond with my child". If you feel you would like to take part in this amazing course, we will be running the course again in the Autumn. We will let you know a date and time as soon as we have finalised the details. Fun and laughter at Creative English Classes whilst learning English speaking Skills....!!! Every Monday and Thursday, 1:15 - 3:00 in the Shaftesburys dining Hall. We will be celebrating world book day on Friday 3rd March by asking the children to come to school dressed as a character from their favourite book. So it's a good opportunity to get creative, we will also be having a swap shop in the phase 1 hall on Thursday 2nd March from 8:30-9:30 am where you can come along and swap old fancy dress costumes. We look forward to seeing the children dressed as their favourite book character on Friday!. 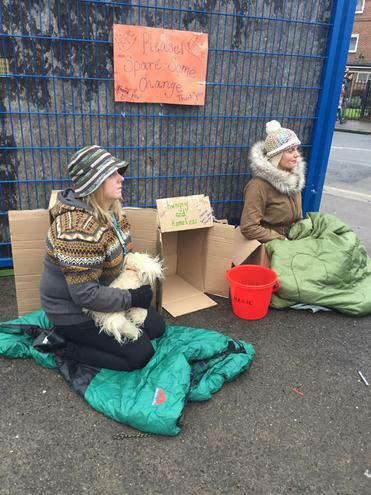 Pupils have already been busy learning about the challenges faced by people who live on the streets, and are producing work in response to this important social issue. Look out for members of staff collecting money around the school this week. 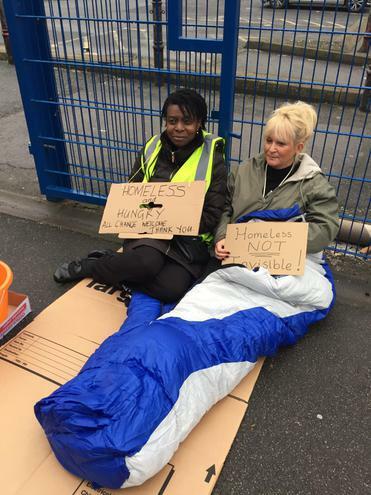 Gascoigne staff collecting for Hope4Barking and Dagenham - please spare some change. Thank you. 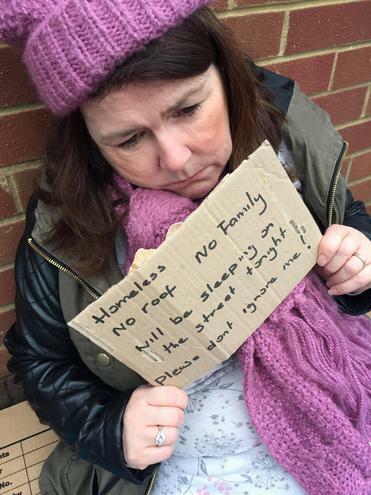 It sounds as though you all had a fantastic night and can now relate to the perils of sleeping homeless!! I wish I could have joined you but due to incubating my little baby I couldn't. I am so proud of my team and everyone else that participated in this fantastic event and raised so much money for such a worthy cause, you really are superstar's!!! Big thanks too you all for your sponsors and support. It was a experience that I won't forget, it makes you think of all the things you have in your life that we need to be grateful for and not take for granted. Just one night in the cold with a little sleep has made me feel sad, very tired and achy boned. 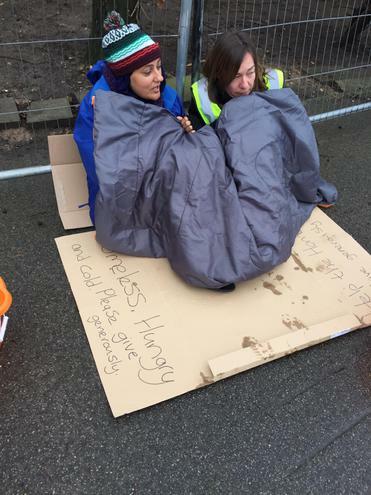 I don't like to think what homeless people go though to survive on the streets in this cold conditions - it's just so sad!! On a positive note, It was lovely to spend the evening with some lovely people, we had lots of belly laughs and giggles, we got to play netball and a bit of footy, we played Anne Braggs hard "Frog game" and "walls and ceilings" (myself and Marie wasn't no good at it -haha) and Michelle Schembri was live recording most of the night. What a Brilliant Night !!! !One to remember and memories to really Cherish. 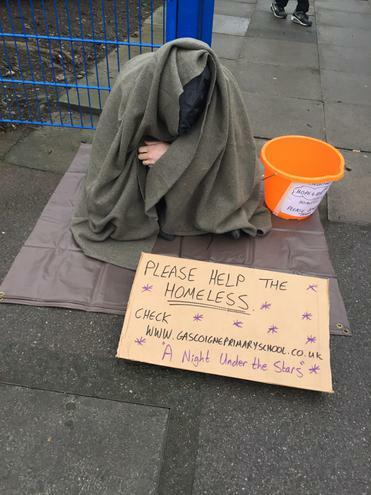 It just shows what an Amazing Team we have at Gascoigne and how we all can pull together for such a Worthy cause ( Hope Homeless Charity)!! I also learnt, that i have quite a skill for netball!!! but am terrible at Anne Braggs Frog game ,sorry guys!!!! A Huge Thank you to all those who organised the event . Well done everyone, your live videos made me laugh. My three boys and myself camped out in the front room last night because we couldn't be with you on the roof, I know it's not the same but we gave up our beds just like you. I'm so proud of all of you. Thank you All! Very proud to be part of this and that we had played a small part in helping the most vulnerable. 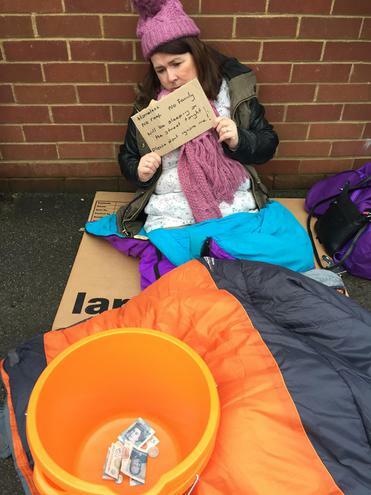 Well done Kelly and FLPs for organising such a worthy event; I am also very mindful that I have other options available to me like a warm home and comfortable bed ..... but many don't. Thank you everyone for your words of encouragement. For those of us on the roof I think we will all take something different away from the experience. For me it was the fact that i was in a safe environment amongst people i know, however it felt very strange!!! Being away from everyone and everything that provides love, security and comfort for me. I have been able to come home have a shower and be warm, not having to look for somewhere to wash or think about where I am going to sleep tonight or how cold it is going to be. 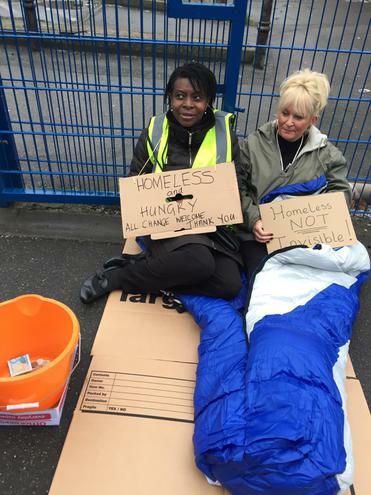 I think we have all done an amazing job of raising awareness of the plight that many homeless suffer and hopefully lots of money for Hope for Barking and Dagenham. Please can you email me any photos taken during the night as the Dagenham Post want to do a follow up article for this weeks issue. Today at our coffee morning we had the pleasure of welcoming over 20 parents; for some it was their first time of attending. We welcomed Alex Jones who came to talk to us about healthy lifestyles and the healthy programmes that the Borough provides for all families to access. 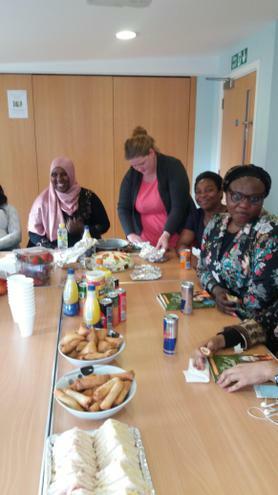 The parents decided that they would like a healthy lifestyle programme to be run at Gascoigne School. Details of this programme will be confirmed and advertised on the website as soon as possible. A big thank you to all the parents and children who came to support our first Christmas Bazaar. A great time was had by all! 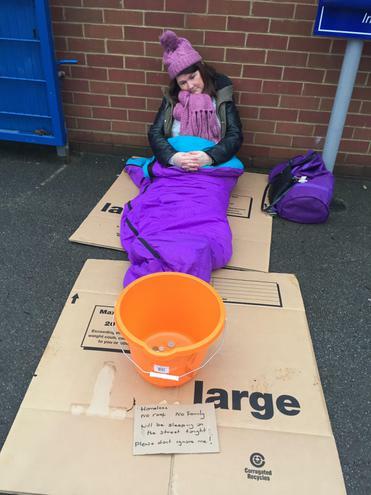 We raised a £135.00, which will go towards resources for all of the children at Gascoigne Primary School. 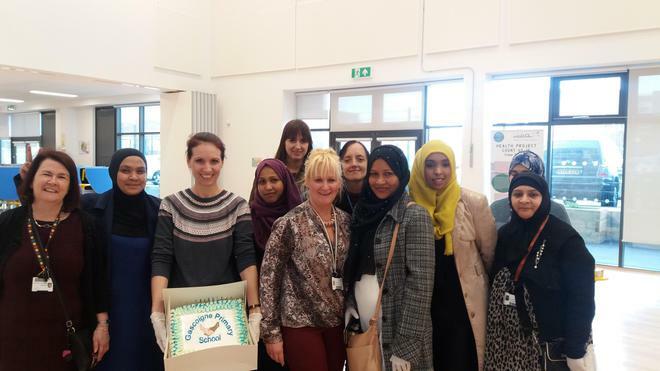 The bazaar was largely supported by our newly formed Parents Teachers Association: F.R.O.G.S (Family Representatives of Gascoigne School) their support contributed to making it a successful event. Would you like the chance to win a netbook for your Child? Come along to our coffee morning @ 9.15 on 2nd December in the FLP room on the Shaftesburys Site for more information. Would you like to join a Adult cycle club? Come along to our Coffee morning 25/11/16 @ 9:15 in the FLP room on the Shaftesburys site for more information. To celebrate the festive season Gascoigne Primary school is hosting a Christmas Bazaar for the children and families. Festive food, Arts and crafts, Games and Prizes to be won!!! As part of our aim to increase well-being within the community, we will be offering a four week exercise taster session for all parents at the new Shaftsburys Site after half term. Classes will begin on Monday 7th November at 9.30 am - 10.15 am and run for four weeks. Please select the classes you wish to attend by completing the form which can be obtained from the office on either the Gascoigne Site or the Shaftsburys Site and returning it along with payment. Each session will cost only £3.00 per person. Please note we need a minimum of 8 people to attend for the sessions to run so please make sure you register by Friday 4th November. During our lovely coffee morning today, one of our many topics of conversation was how the parents view the school, here are some of their comments: All of the Parents felt there had been a big improvement in the school and many of the parents felt although the school had been good in the past they had really seen an improvement ! 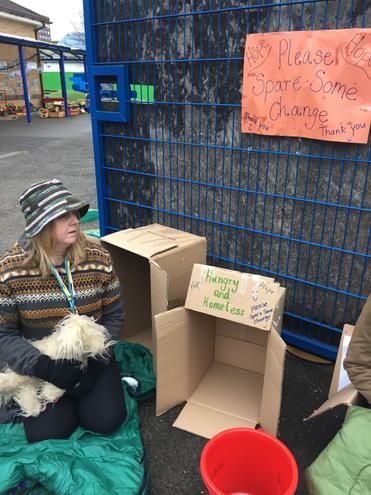 They said they had seen an improvement in their children's learning, the environment had improved dramatically and the parents felt that they were able to move more freely around the school when dropping the children off and collecting them . They also felt the playgrounds were inspiring for the children now. They particularly liked the way the parent's consultation was held this year and the fact the children were part of the process. They felt it was helping the children to take ownership of their learning. They also commented that they had seen an improvement in their children's behaviour and thought the Stay on Green Policy had contributed to this due to the fact it provided consistency through out the year groups and the children knew what behaviour was expected of them. Have a fantastic week off and the Family Liaison Team look forward to welcoming you all at the next coffee morning on Friday the 4th of November. Please purchase your tickets from the school office on both sites. Light refreshments will all be provided. If you would like to thank any member of the Family Liaison Team please click on the link below. Your views are very important to us and we are keen to know what you think of the school. The only way of doing this now is to complete Ofsted's online questionnaire. We have arranged dates for parents to have a tour of the new school site. If you would like to attend please meet at the Reception office at the Shaftesburys site on the appropriate date. If your first language is not English would you like to learn English? If you have not already signed up for the Barking and Dagenham College ESOL course please contact a member of the Family Liaison Team to book your free assessment. The assessments are taking place on Tuesday 27th of September between 9.00 - 11.00am. The assessment will help ascertain what level you are at and what course will best suit your needs. You will need to bring your passport or proof of residence documents so you can register for the course. Please not that even if you have attended ESOL classes at Gascoigne school you will still need to be assessed. Please note that there are no crèche facilities available. Parent Gym workshops starting on 28/09/16 at 9:30 at the Sharftesburys site! Come and try out our Parent Gym 'Taster' session! The Family Liaison Team would like to invite you to the Gascoigne School MACMILLAN CANCER Support coffee morning.